We most definitely work in rattlesnake country, so as much as I love snakes, I experienced somewhat mixed feelings seeing this guy coiled underneath the footprint of the tent in which I had been sleeping for three nights. Fortunately my field assistants are graduates of Berkeley’s famous IB 104 course, so they know their vertebrate identification. Once they confirmed that this was not a venomous species, we got to enjoy our unexpected neighbor. We let him go far away from the campground, so hopefully no one else will find him coiled underneath their tent. Not everyone likes snakes as much as we do. 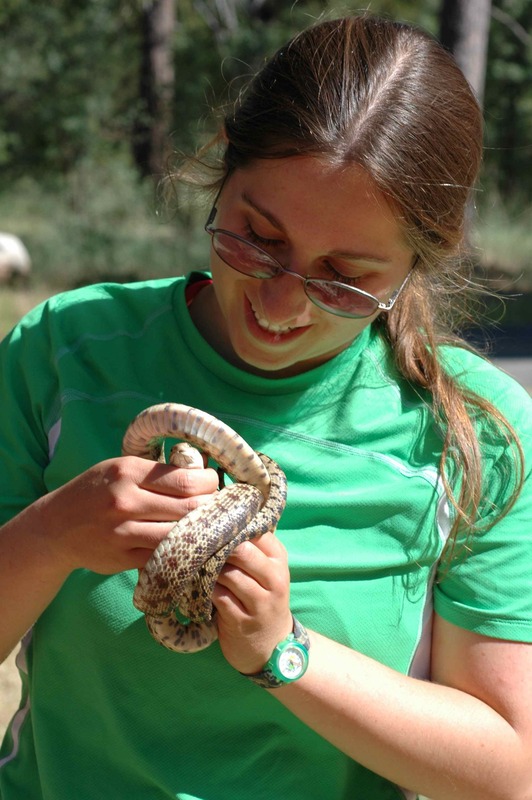 This entry was posted in field work, miscellaneous and tagged field work, gopher snake by toughlittlebirds. Bookmark the permalink. What kind of snake? And why didn’t he get squashed when you were inside the tent? Had he crawled in after you were outside the tent? 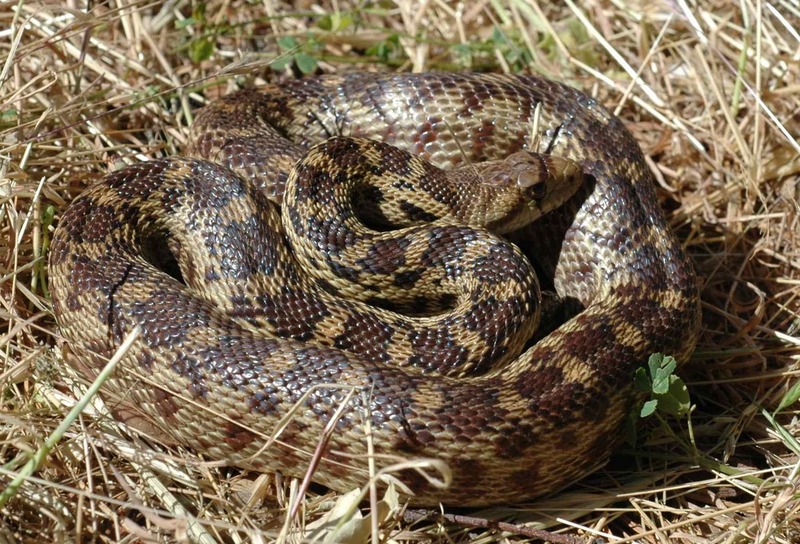 Gopher snake, I believe. And, I don’t know why he didn’t get squashed – I was wondering that myself! Possibly he crawled in after I vacated the tent that morning; or possibly he was just highly squash-resistant.